Humana Festival 25th Anniversary, ed: Michael Bigelow Dixon and Andrew Crocker, Actors Theatre of Louisville, Louisville, KY, 2000. LMDA Review (Vol. 8, Issue 2), ed: Michael Bigelow Dixon and Amy Wegener, Literary Managers and Dramaturgs of the Americas, NY, Jan. 1998. Art Teatral: American Ten-Minute Plays, ed: Michael Bigelow Dixon, Roger Cornish and Phyllis Zatlin, Art Teatral, Valencia, Spain, 1996. The Romantic Comedy of Ferenc Molnár: Classics in Context 1995, ed: Joel Smith and Michael Bigelow Dixon, Actors Theatre of Louisville, KY, 1995. Theatre of Louisville, KY, 1993. 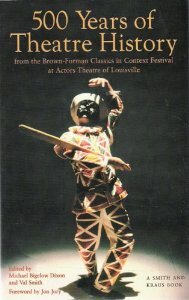 Commedia dell’Arte and the Comic Spirit: Classics in Context 1990, ed: Michael Bigelow Dixon and Michelle Togami, Actors Theatre of Louisville, KY, 1990. Monologues for Headspace Theatre, ed: Michael Bigelow Dixon, Smith and Kraus Publishers, Lyme, NH 2019 (in press). My Mother#*^%#! College Life, created by Brooke Jennett and Michael Bigelow Dixon, conceived by Jon Jory, Dramatic Publishing, Woodstock, IL, 2017. Evil Genius: Monsters on Stage, ed: Michael Bigelow Dixon, Smith and Kraus Publishers, Lyme, NH, 2016. Shakespeare in Mind, conceived by Michael Bigelow Dixon, Dramatic Publishing, Woodstock, IL, 2015. 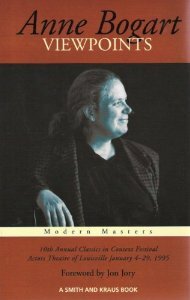 Barbara Field: Collected Plays Vol. 2, ed: Michael Bigelow Dixon, CreateSpace.com -- Amazon, 2014. The Playwright’s Workout: Exercises for a Dramatic Imagination, ed: Michael Bigelow Dixon & Liz Engelman, Smith and Kraus, Lyme, NH 2009. Barbara Field: Collected Plays Vol. 1, On Stage Press, NY, 2008. 30 Ten-Minute Plays for 2 Actors: The Best of 2004, ed: Michael Bigelow Dixon & Liz Engelman, Smith and Kraus, Lyme, NH, 2004. 30 Ten-Minute Plays for 3 or More Actors: The Best of 2004, ed: Michael Bigelow Dixon & Liz Engelman, Smith and Kraus, Lyme, NH, 2004. Jane Martin: Collected Works 1995-2001, ed: Michael Bigelow Dixon, Smith and Kraus, Lyme, NH, 2002.
and Kraus, Lyme, NH, 2001. 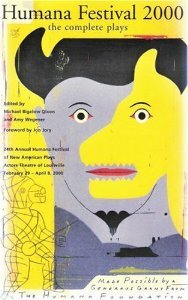 Humana Festival 2000: The Complete Plays, ed: Michael Bigelow Dixon and AmyWegener, Smith and Kraus, Lyme, NH, 2000. Smith and Kraus, Lyme, NH, 1999. Humana Festival ‘99: The Complete Plays, ed: Michael Bigelow Dixon and Amy Wegener, Smith and Kraus, Lyme, NH, 1999. Ten-Minute Plays: Volume 5 from Actors Theatre of Louisville, ed: Michael Bigelow Dixon and Amy Wegener, Samuel French, NY, 1999. Humana Festival ‘98: The Complete Plays, ed: Michael Bigelow Dixon and Amy Wegener, Smith and Kraus, Lyme, NH, 1998. Humana Festival ‘97: The Complete Plays, ed: Michael Bigelow Dixon and Liz Engelman, Smith and Kraus, Lyme, NH, 1997. Ten-Minute Plays, Volume 4 from Actors Theatre of Louisville, ed: Michael Bigelow Dixon and Liz Engelman, Samuel French, NY, 1997. Humana Festival ‘96: The Complete Plays, ed: Michael Bigelow Dixon and Liz Engelman, Smith and Kraus, Lyme, NH, 1996. Twenty One-Act Plays from Twenty Years of the Humana Festival, ed: Michele Volansky and Michael Bigelow Dixon, Smith & Kraus, Lyme, NH, 1996. Anne Bogart: Viewpoints, ed: Michael Bigelow Dixon and Joel Smith, Smith and Kraus, Lyme, NH, 1995. Ten-Minute Plays, Volume 3 from Actors Theatre of Louisville, ed: Michael Bigelow Dixon and Michele Volansky, Samuel French, NY, 1995. Smith and Kraus, Lyme, NH, 1995. More Ten-Minute Plays From Actors Theatre of Louisville, ed: Michael Bigelow Dixon, Samuel French, New York, 1991. Plays from Actors Theatre of Louisville, ed: Michael Bigelow Dixon, Broadway Play Publishing, New York, 1989. 25 Ten-Minute Plays from Actors Theatre of Louisville, (Actors Theatre staff editor), Samuel French, New York, 1988. Michael Bigelow Dixon, California Council for the Humanities/South Coast Repertory, CA, 1983.